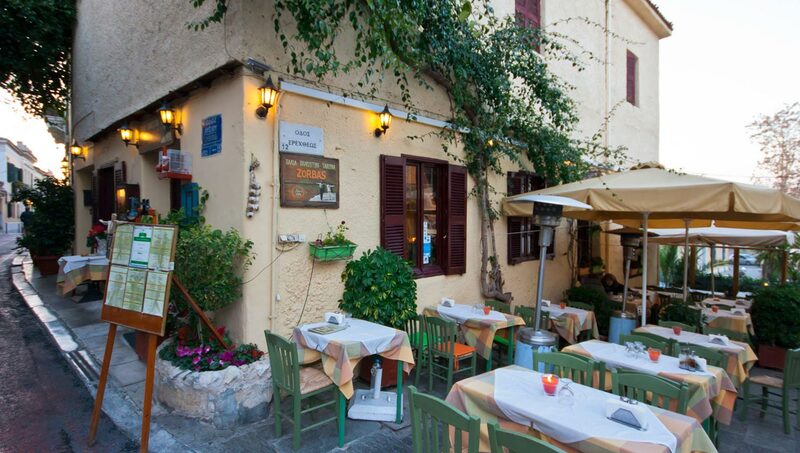 The restaurant ZORBAS is situated in the heart of Plaka (ancient town of Athens - in the neighborhood of the ancient Gods) and in the region Anafiotika. SALADS of all kinds, APPETIZERS cold and warm, COOKED FOOD and SEA FOOD, etc. Please see detailed menu. In the winery of ZORBAS you will find excellent Greek wines and retsina. It has Live Music with guitar, buzuki, song in the Weekends. The other days there is also music, on the stereo. All ingredients are fresh and of super quality. The service is perfect and fast.